Simply speaking a beard trimmer is a machine that can be used to trim your beard with ease. Sometimes it can be a bit confusing when looking for the best beard trimmer to meet your beard shaving needs. This is because there are many beard trimmers in the market that come with various features and designs. Before you consider which trimmer to purchase you should know what defines the best beard trimmer for you. Get the beard you always wanted with the Philips Norelco Beard trimmer, series 5100. 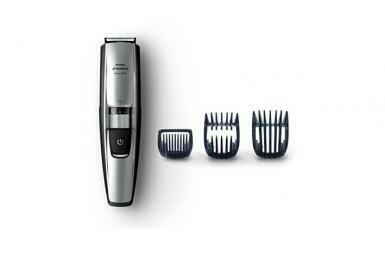 With a self-sharpening steel blades, 17 precision beard length settings and Innovative lift and trim technology the Philips Norelco is amazing trimmer. It has a dimension of 2.4 x 5.9 x 9.6 inches and weighs about 13.9 ounces. The Philips Norelco features a durable lithium ion battery so this trimmer is able to run up to 70 minutes with just a single full charge. It is also easy to clean and maintain, the trimmer is resistant to water and fully washable. 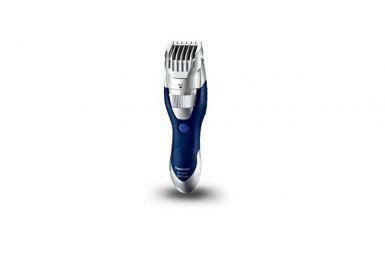 We have chosen the Philips Norelco 3100 beard trimmer as the second options for the Philips lovers. This beard trimmer includes 10 built-in settings for length along with an amazing locking function, which delivers a pinpoint and varied experience of trimming without any need for many singular attachments. The Philips Norelco 3100 features a fully washable head, making cleaning process very simple and easy. 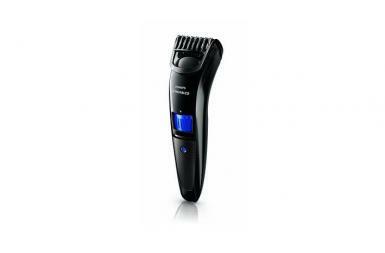 As one of the best choices that Panasonic offers, the Panasonic Milano ER-GB40-S is high quality, effective beard and hair trimmer. With a durable body and elegant look that gives superior feeling to users, the Panasonic Milano comes with 19 different settings of length that varies between 1mm to 10 mm, enabling users to achieve precise results. These adjustable blades make shaving much easier task while eliminating risk of cuts over the skin. It can function in both wet and dry conditions. The Remington MB4040 is an exceptional beard trimmer with high class construction and easy to use features. Users can perfectly use this trimmer for various length requirements (from 1.5mm to 18 mm). With Titanium coated blades, as well as cordless design for ceaseless 120 minutes of runtime, this trimmer is specifically designed for making you well-groomed within a shortest possible time. 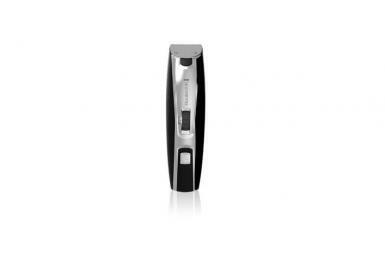 The Remington MB4040 trimmer comes with washable parts as well as self sharpening type blades. Its head also possesses quick release option so that one can clean it within very less time. 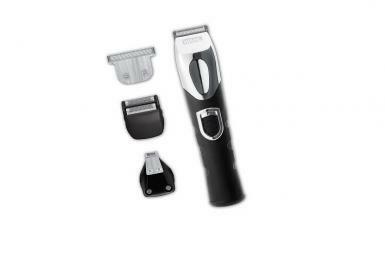 This feature also helps to improve the life of blades as well as durability of the trimmer. With the ability to trim everything from the hair and beard, to the easily grown brow hair, ear hair and nose hair, this trimmer is a great option for men searching for one device that can control all of the popular grooming issues. The Wahl Clipper All in One Men's Grooming Kit comes with a dual shaver, detail blade, T-blade, trimmer blade, a charger and more. This rechargeable trimmer comes with a Lithium Ion battery that holds a charge up to ten times longer than traditional trimmer. It features one minute rapid charge if users are in a hurry. This is an important feature for every beard trimmer as it determines the length of your beard. Make sure your beard trimming device has the appropriate settings if you intend to keep a thick, long beard. If you intend to have a stubble look, make sure the trimmer you purchase has the length settings that are small enough to give you the beard length you desire. Some models in the marketplace have detachable heads designed specifically for the stubble look. For this reason, keep your eyes open for this type of a model if this is the style you prefer. Additionally, there are some electric groomers that come with 6 to 9 lock-in settings that allow you to adjust the length to suit any beard style you desire. The best beard trimmer should be easy to clean and maintain. You do not need to invest in a beard trimmer that will depreciate in quality over time. Therefore, look carefully for cleaning or maintenance features. Some of the beard trimmers are supplied with their own oil which needs to be applied after every shave. Some are washable meaning that you can get the hair out easily, while some have self-sharpening blades. If you are going to shave your beard without making fancy styles or patterns, you will not be interested in a beard trimmer with multiple attachments. You may only want to detach the comb on your trimmer and use a regular attachment to make the edges of your beard look neat. If you are looking to keep a stubble or goatee beard style, make sure the trimming device you purchase has the ability to adapt to your beard. Look for one that has detachable heads (that allow you to switch between heads for your specific style), and the regular head for normal shaving. If your bathroom has a shaving socket, get a corded beard trimmer. However, a cordless trimmer may be the best option if your bathroom doesn’t have a suitable shaving socket. Whichever beard trimmer you are going to choose just make sure it fits the beard style you desire. In order to help you choose the best trimmer, we have made the list of top 5 best beard trimmers below.